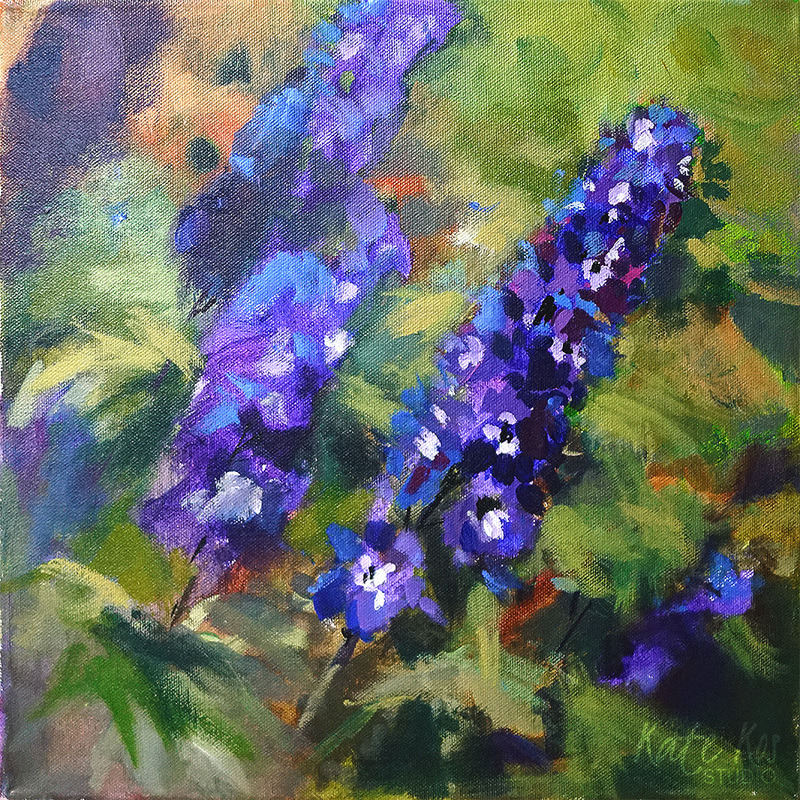 Latin name for Larkspur is delphiniums, and they feature in this original acrylic painting. 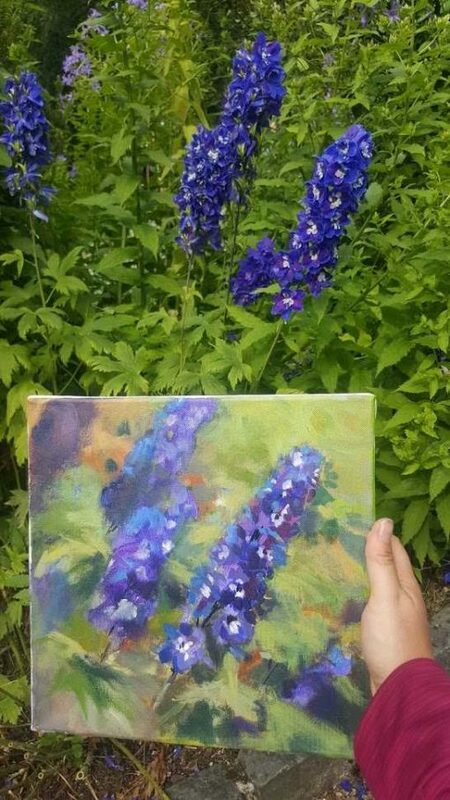 Painted in Malahide Castle as a part of Dublin Plein Air Festival. 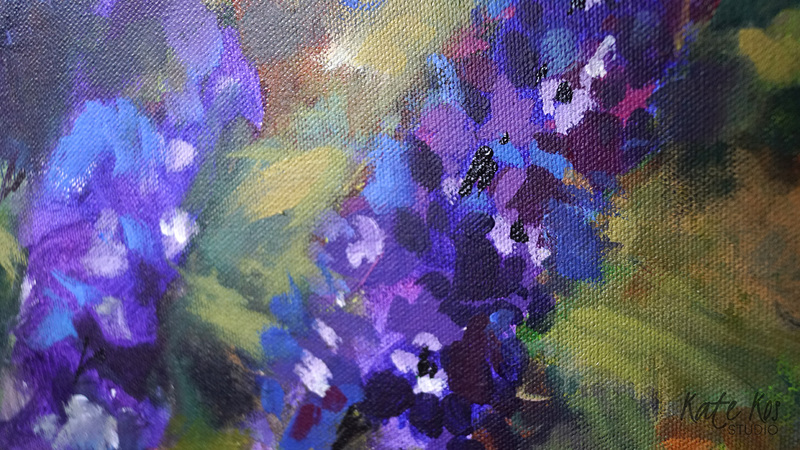 Painting will ship unframed.